The exuberant imagery of African Tarot draws largely on the African experience, depicted in a primitive art style. Marina Romito has reinterpreted the standard Rider-Waite images with symbols inspired by indigenous South African culture to create an accessible, uplifting deck. 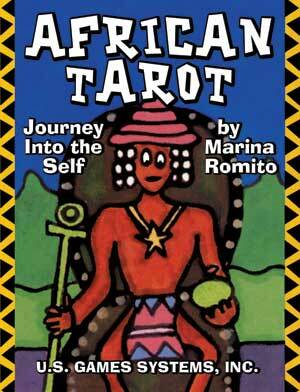 Evoking universal childhood emotions, African Tarot can help you explore your true inner nature.